Antal Rogán, Minister of the Prime Minister’s Cabinet Office, gave an interview Sunday morning to state-run Kossuth Radio. Speaking about the impact of the terrorist attack in Nice, he warned Hungarians about travelling to western European countries with significant immigrant populations, as he believes that the integration of immigrants has failed and therefore the risk of terrorism is high. As such, Mr. Rogán warned Kossuth radio’s listeners about the risk of travelling to western Europe. 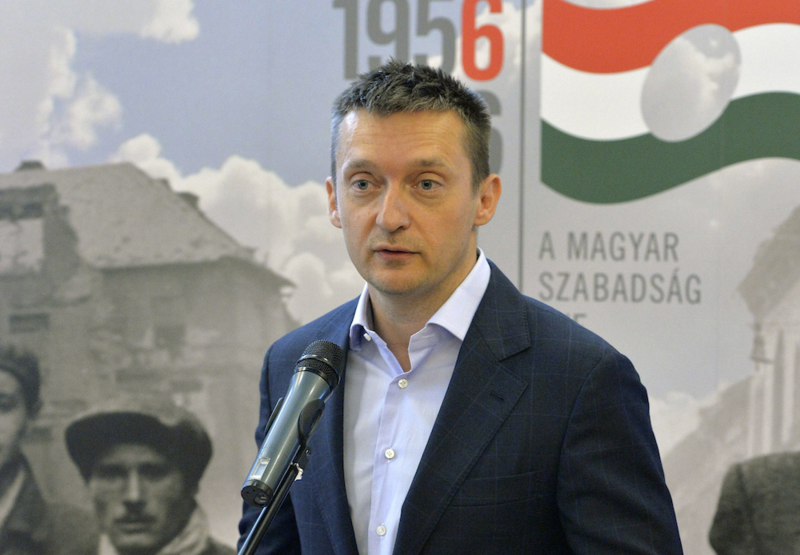 “The Government of Hungary is asking Hungarians who are travelling abroad during the summer months, to take all warnings seriously…In those countries where the proportion of immigrants is high, the risk of terrorism has, indeed, increased,” warned Mr. Rogán. The Orbán government’s overt fear-mongering against all immigrants and against culturally diverse societies is part of a communication strategy and a dichotomy that they have set up, with immigrant-free, racially “pure” and therefore safe Central Europe against multicultural and therefore dangerous Western Europe. When I was in Budapest in June, I must have overheard at least two dozen conversations whilst sitting in cafés or riding public transit, often from young, seemingly well-educated Hungarians, about how they feel “out of place” whenever they travel to diverse western European cities. The sad irony with all of this is that Mr. Rogán has been playing an important role in preparation for the 60th anniversary of the 1956 Hungarian Revolution, when 200,000 refugees from Hungary, some armed as they entered into Austria, flooded into the West, making cities where they settled more culturally diverse. Christopher Adam, you keep parroting the same thing over and over again. What you are doing in nothing but propaganda without basis. The facts are in the front of your eyes. Unvetted immigration, more specifically unvetted migrants from war torn Muslim countries cause the spike in terrorism. Should I give you examples? Here they are: Brusselles, Paris, San Bernadino, Boston, underwear bomber, New York intended, Ottawa twice, England car bumber with the cleaver beheading a soldier and many other. You only need one person to cause the death of many. Clear example is Nice. Many of these horrific terror actions are supported by ISIS. But you do not care because your ideology totally blinds you. Dr. Michael Savage: “Liberalism is a mental disorder”. One more thing Mr .Adam: how can you compare the 200,00 Hungarian refugees with culturally, religiously and morally comparable values of the countries where they fled to with millions of refugees from war torn Muslim countries with Sharia law or predominantly Sharia law? Their values are totally incompatible with the countries where they force their entries. Can you answer my question? This is what I call the ‘moral equivalence’ of the radical left where they compare items with orders of magnitude difference and they equate them in order to make their point. Totally indefensible. When 200,000 Hungarians fled Hungary in 1956/57, they fled not within the international fear and context of terrorism, but within the context of communism, the red scare and the Cold War. Close to 10,000 Hungarians, some of them armed, flooded into Austria each day in the days and weeks after the revolt, with almost no border and security checks. While most societies were open and welcomed the refugees (positive media coverage helped), national security agencies and police felt differently: they worried that communists has slipped in, in large numbers, amongst the refugees and the arrivals posed a risk to the security of host countries. In Canada, the RCMP went so far as to hire a Hungarian (who arrived as a Displaced Person in 1949), to spy on 1956 refugees in Montreal. When a left-liberal can not counter an argument with rational logic, s/he changes the terms of the discussion. Perhaps I must really spell it out for you. The assumption that there were no major security and other concerns with the integration of 200,000 Hungarians after 1956 is false. While today, the fears are around terrorists lurking among the newcomers, in 1956/57 the fears were that Soviet sympathisers were entering and would pose a risk to the host society. If you say that the security issues with the 200,00 Hungarian immigrants in 1956 were the same as the security issues with the Muslim migration than all I can say is that again the left-liberal ‘moral equivalency’ is at play again (comparing a 10% issue against a 90% issue is the same in your thinking). The security issues are SIGNIFICANTLY greater today with the Muslim migration the in 1956 with the 200,00 Hungarian immigrants. If you do not see this, you are hopeless as far as connecting the dots in a logical manner. The Hungarians that fall for it will get what their willful ignorance and ignoble attitudes entail. Stevan Harnad: Most people are in fear now in many countries due to frequent deadly Muslim terrorist activities. I personally would stay away from large crowds. It makes sense. Traveling to France would be far more dangerous than traveling to Slovenia. Many of the 84 dead people in Nice were foreign tourists. If you do not see that then you have problem with critical thinking. In addition saying that the Hungarians issue travel advisory so people stay home in order to vote against immigration is itself lunatic and insane. You have problem with critical thinking and with associating facts with innuendo. Among the 1956 refugees (I was one) there were hundreds of nazis and communists. The CIA interviewed/wetted several thousands in Camp Kilmer during November 1956 and June 1957 . Many of the Nazis came out of the wood work in the US and Canada since the Orban regime came to power in 2010. If you say that the security issues with the 200,00 Hungarian immigrants in 1956 were the same as the security issues with the Muslim migration than all I can say is that again the left-liberal ‘moral equivalency’ is at play again (comparing a 10% issue against a 90% issue is the same in your thinking). The security issues are SIGNIFICANTLY greater today with the Muslim migration than in 1956 with the 200,00 Hungarian immigrants. If you do not see this, you are hopeless as far as connecting the dots in a logical manner. karl busch – one more thing: can you explain what you meant by the following sentence? To me this sentence does not make sense, in my opinion it is gibberish. Joe Troll became very active. With Rogan and Kosa (OMG) out, I guess the parrot teams have been spurred to work harder until October. Re. Nazis and fascists. Of course Karl B does not make sense to the trolls, they don’t know much about the Hungarian political environment before WWII, in which various reactionaries and fascist flourished. Those who know work to falsify this history. Observer troll – Again, your post is full of innuendo, lack of substance and statements which you do not have facts for. History is my passion and I bet I know more about Hungarian history than yourself. 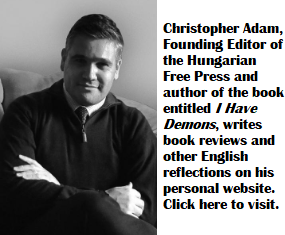 One more tidbit for you: I lived under communist regime for years, so I know Central European history very well including that of Hungary before and after the war or even all the way back to the age of the beginning of the Hungarian nation in the Carpathian basin. But you know much better what I know than myself – a very condescending and arrogant attitude. This is what I mean when a person reads a post which makes no sense contextually, then he responds with a post which even more does not make sense . We have here a great discussion, don’t we? caught between 2 major wars 1 and 2.
up and solve their problems. “Hungarians who already suffered all too much…. Compared to the neighbours: Poles, Yugoslavs, Russians/Ukrainians or the Germans? Theirs were not beautiful countries and people so could be destroyed much worse than Hungary? “.. will soon be overwhelmed..” It has already been overwhelmed by the orban mafia. Ah, the migrants, where are they? (Last year 512 (?) were accepted). In 2015 we allowed nearly 200,000 immigrants into the UK from the EU and a similar number from outside the EU. So the 400,000 estimated Hungarians in the UK should go back home because of the terrorist risk? Oh right. I think I get it now? So no more should travel here? And all the Hungarian Roma should leave Hungary because they get bullied, discriminated against and murdered? Yes. I think I’ve got it too. It’s an interesting, if unrelated, fact about the safety of certain parts of the population against terrorism. Hungary is unique in this regard not least because 200,000 people fled from tyranny in 1956 and were helped by many other countries without a thought about criminals in their midst – of which there were undoubtedly some. And talking about the safety of Hungarians is a bit rich when they helped murder 400,000 Hungarian Jews and minorities – their own people – after which they looted their homes and businesss. If the same had happened in England proportionately we would have had to murder 2,000,000 people of minority. Hungary? You’ve got some brass neck. On reflection Hungarians should stay here – in the UK. They’re safer. (A) Immigrants don’t lead to terrorism, the huge number of terrorist who comes with them do that and the governments who allow this happen by taking them unlimited at time when they have no means to vet them. (B) Immigrants cause very different problems only when they illegal and/or come in excessive number that the hosting countries unable to handle, especially when they are barbarians and unwilling to assimilate and sympathize with terrorist like DAESH. (C) Islamic immigrants cause even more serious problems as they openly declare that they come to dominate the world and they raise their offspring in different fanatic cultural spirit that disagreeable with the culture of the host country and recruit them to commit terror actions. (D)”1956 Hungarian Revolution” Cannot even be compared with the present situation. The UK accepts a certain number of immigrants from the EU who are qualified or are willing to take jobs that the Brits don’t or there is shortage, who can be vetted in order to replace the mass emigration of 2 million Brits from their homeland. Meanwhile, refuses to accept the high cost and high risk immigrants from the Mideast. Refuses even to help to rescue them. Sources: reuters, dailymail, ft, theguardian, etc. Richard, the UK does not have the means or right to “vet” immigrants from the EU, or to limit their entry to only those who “are qualified or are willing to take jobs that the Brits don’t”. That’s not how it works. The EU’s rules on freedom of movement preclude such limits – and Britain was in fact one of the first countries to lift them on the Central European countries which joined the EU in 2004. Even the temporary restrictions that were put in place for Bulgarians and Romanians after those countries joined were lifted in 2014. So your argument doesn’t seem to be based in facts. An then the BREXIT to get back their independence. That’s correct it’s not fear mongering. Why risk human lives just out of hatred for the Orban government. That’s really too much. Yet, it happened. Every sane government issues the same warning. US issues summer travel alert for Europe warning of ‘greater targets for terrorists’ theguardian. With a truck or explosives, and was it a part of the series of suicidal terrorist actions that goes on in France or Belgium and in Europe? Is Hungary in full-on martial law a state of emergency that has long been implemented across France due to constant terror threats? Didn’t the Hungarian government make efforts enough to avoid the same scenario? Weren’t they vilified enough for protecting Hungary against this? Protecting Hungary against what? 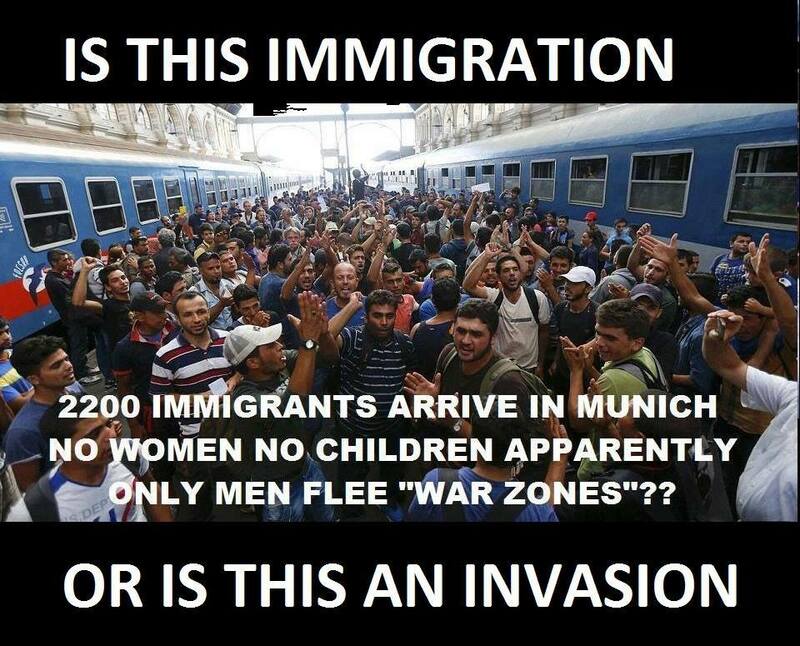 The suggested 1250 refugees to be relocated here ? No one wants to stay in Hungary. Vilified because OV & co are villains, pouring hatred, mistreating and terrorizing the refugees as part of their scam for political gains. For almost a year, until July/August 2015, more than 100 000 refugees/migrants passing through Hungary on their way west. No registration, no problems, no BS about “defending Europe”. Where was the “government” then ? Derailed. 🙂 I see I was right as you want to deflect so hard that your sweat stinking up the sky. Rogan was correct it’s not fear mongering. The danger of terrorism, France being on the verge of civil war makes his warning very actual, he said the same that the US government, be careful traveling to west as European countries are under Islamic terror. What do you think of the “happenings” in the Hungarian house in L.A. and other Fellegi sponsored similar establishments and sponsoring neo-Nazi bands and a singer’s tour to read Wass’ anti-semitic drivel is? What is behind raising Horthy, Wass, Nyiro, Tormay and other war criminals and nazi’s statues in Hungary? It is all designed and supported by OV & Co. This is what I meant and should have spelled out for the general reader. Not for the core fideszniks, since such “faithful” would accept even cannibalism, if introduced by OV & co. Still admiring your sharp mind could you please comment the following news and explain your comparison of the Hungarian yearly crime statistic you gave (very low rate) with this? What kind of observer are you, can’t even follow the everyday news? How did you become a reader of the Moscow government media? The Russians are in your closet already? Yes, I read Sputnik but if you trust in the British media here for you. “France is on the verge of ‘civil war’, the country’s head of intelligence says. Patrick Calvar said mass sexual assault of women by migrants may start it. Rogan was right. West Europe is dangerous. He only did his duty warning tourists traveling to West Europe. Distraction attempts failed, idiotic, manipulating fields are cleared up. Don’t get me wrong, it’s you right to read anything even believe it. I was just curious how did you get there, most of us would even know about it. Rogan is a crook/embezzler, a liar and a high functionary of a fascist regime, i.e. he is wrong by definition. He may be right in some instance, but the burden of proof is on him. and it’s “Russian source”, my French spellchecker butted in. Same, Rogan was correct Europe is unsafe, that’s the point, that’s what we are talking about. Get something else, here. Parlez-vous français? La source d’origine. Lire l’article de journal. Oui, mon petit troll, je parle aussi français, mais je besoin d’un correcteur orthographique. after the US, Britain issued travel alerts for Europe and London raised its threat assessment high for citizens traveling to France and Germany. Rogan was right, he did his duty issuing a warning to travelers, it was not fear mongering or anybody accusing the Hungarian government with fear mongering for this warning he is accusing the US and the British government with fear mongering too, i.e. they are doing the same that the Hungarian government does. Distraction attempt failed, manipulation attempts neutralized, main point successfully restored, all fields cleared up. This site is a disgrace due to the number of mentally deficient posters. They can not stay on topic, they can not logically rationalize and many of them have misguided beliefs based on distorted facts. Dr. Michael Savage: “Liberalism is a mental disorder”. It is truer than ever for this site. LOL. You are so wrong Joe – you forgot about the 1956 refugees who were suicide bombers, cut off people’s heads, murdered innocent people and caused mass destruction and horror in their host countries, so I see no difference between Hungarians in 1956 and present day migrants. Whoever you are you are spreading huge lies and falsehoods. Saying that “the 1956 refugees who were suicide bombers, cut off people’s heads, murdered innocent people and caused mass destruction and horror in their host countries, so I see no difference between Hungarians in 1956 and present day migrants” is simply lunatic and falsifying history. If you make a statement like that you do a disservice to yourself because people can see what an idiot you are to make a statement like that. Dr. Michael Savage: “Liberalism is a mental disorder”. You are mentally deranged. I guess you didn’t count on it, but Joe Troll took it hook, line and sinker. O mon dieu, quelle cônes elles sont. Learn to live with the fact dudes, that HUNGARY is a homogenous country, over 90% are Hungarian/Magyar majority, the rest are just spotless minorities. Therefore, you cant force multiculturalism in Hungary if the majority of Hungarians including me is fiercely against it. Hungary is not Canada, USA, or any other garbage western country being turned into a failed state caused by this “multicultural retardism”, there’s more racism caused by multiculturalism than a homogenous one. Even Merkel admitted few years back that multicuturalism…..FAILED. I cant wait for the migrant quota referendum in Hungary, I’ve thinking to cast my vote, hmmm let me see. I will vote NO, NO, NO, NO, NO, and NO means……NO, FULLSTOP. Hungary is for Hungarians. MAGYARORSZAG means MAGYAR-ORSZAG, (Magyar people’s country/land), not EUROPAORSZAG or EUROPARIA. And we the majority decides who we can live with and who not.